We are featuring an infinite 3d printed castle design and massive multi-tiered fortress walls for your tabletop gaming room. Below you will find a host of links leading to diagrams, videos, and photo albums of specific features. With over 40 stretch goal incentives this Kickstarter is set to explode from 230 STL files to over 500 modeled pieces. 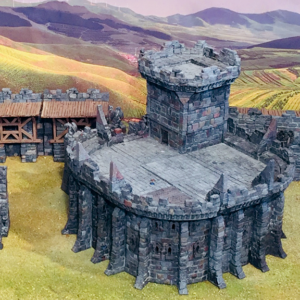 Don’t miss out on your opportunity to be a part of what will surely be one of the most ambitious and original fantasy 3D printed terrain Kickstarters of 2019. Notice:This is a digital product of STL. fIles for 3d printing. Stackable Walls up to 2 – 7 inches high. OpenLOCK Connectors can easily attach walls to a tower built from the official OpenLOCK templates for up to 3 stories. 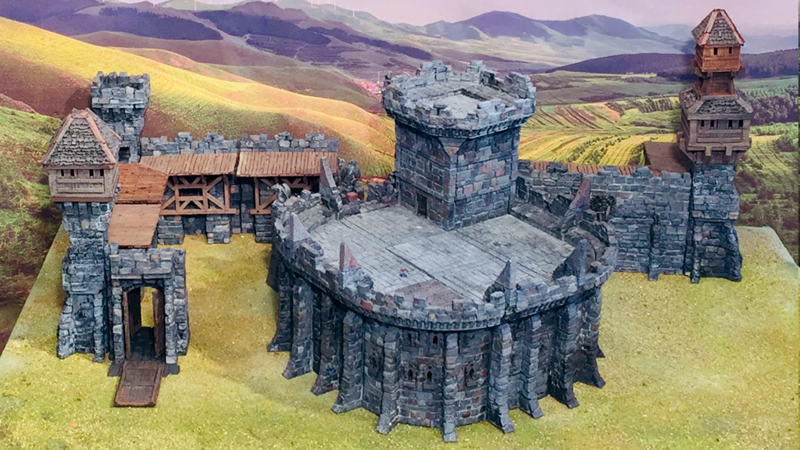 Timber Platforms come in 3 sizes allowing between 1 ½ – 3 ½ inches of space for placing catapults or even giant figures up on your walls and into the battle! Corner Towers can be built to easily soar up to 15 inches and beyond. 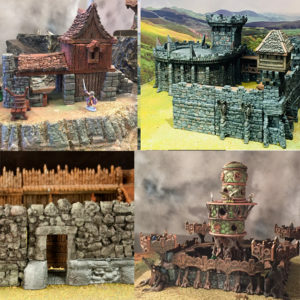 Optional Exterior Buttresses will allow you to mount gargoyles or other totems upon your walls to personalize or frighten the enemy! Blanks and bools will be loaded to Thingiverse so you can make your own wall statues using your favorite opensource models. Cavernous Rooms with buttresses and massive, vaulted OpenLOCK walls are possible with our original Through-Clip Pillar & Spacer design. Mix It Up Make half a building with traditional room levels or partial room levels alternating with larger vaulted wall rooms. Open__Peg Stacking System allows you to add attachments such as stairs or even build an entire town on top of your massive, flat-roof keep! Battlements Both overhang and flush battlements are available, many buttress features are optional. All castle doors open and the castle includes several stair systems. Mega Towers The Keep can also be used to make huge towers for the walls. OpenLOCK-Compatible This system will integrate with traditional OpenLOCK build systems. 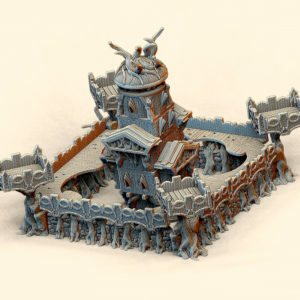 Stretch Goals will unlock more Castle expansion features.